* Note: this document is for end users. 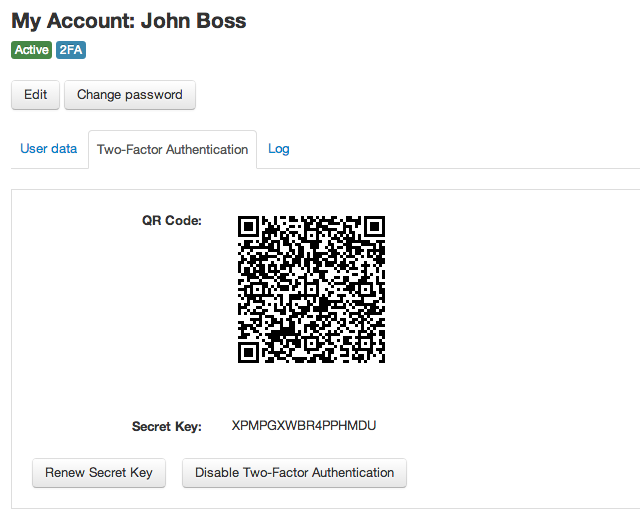 If you’re an admin user and want to manage two-factor authentication, please read Two-factor authentication in Team Password Manager. Using Two-factor (or Two-step) Authentication in Team Password Manager will increase the security of your account because it requires you to enter an additional one-time passcode known only by you. 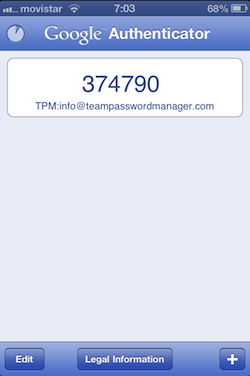 Team Password Manager uses Google Authenticator for Two-factor authentication, so the first step is to install this app in your smartphone if it’s not already installed. 1. 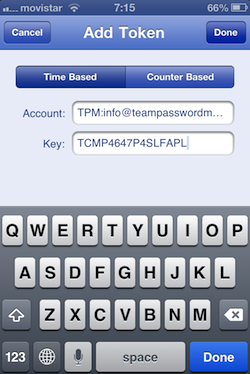 Sign in into Team Password Manager using your credentials (username + password). 2. Click on “My Account” on the top menu. 3. Click the button called “Enable Two-Factor Authentication” below your name. If you don’t see this button, it means that the Administrator user has disabled two-factor authentication for this installation and you won’t be able to use it. 4. Enter your password for verification. 8. Click on “Enable two-factor authentication”. 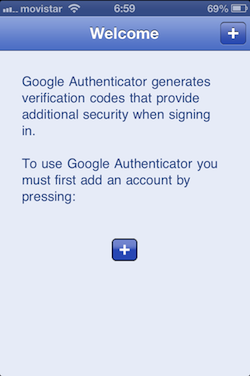 Step 7 and 8 should be done before the Google Authenticator token becomes red in you device. A new token is generated every 30 seconds, so if you see it red, just wait a few seconds until another one is generated. A little circle on the left top corner of the app shows this interval. This tab shows our QR code and Secret Key in case you need to re-enter it. Also, there’s a button to create a new code (in case your smartphone is lost or stolen) or to disable two-factor authentication for your account. 1. 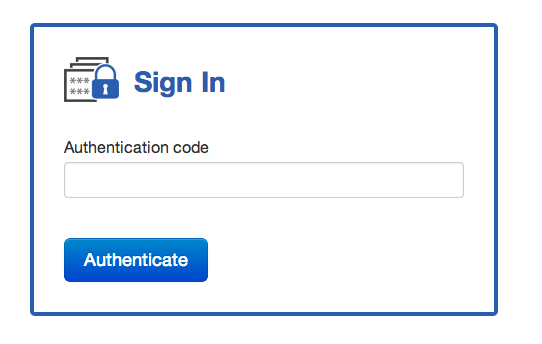 When signing in, Team Password Manager won’t accept the “Authentication code”. 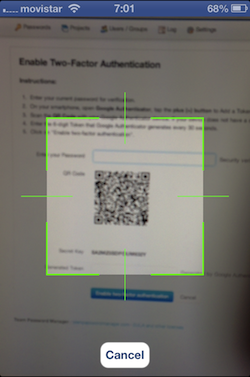 Try it again, checking that the code that the Google Authenticator app hasn’t changed while you where entering it. If you’ve tried it many times without success, contact your administrator. 2. I’ve lost my smartphone or it has been stolen. If you’re still logged in, go to “My account” screen and click on “Disable two-factor authentication” on the “Two-factor authentication” tab. 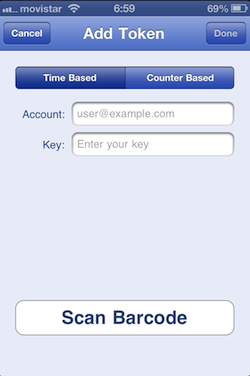 If you’re not logged in, you need an admin user to disable two-factor authentication for your user. 3. I’ve deleted my configuration in the Google Authenticator app or I’ve deleted the app in my device. I can’t sign in into Team Password Manager because I don’t have a token. 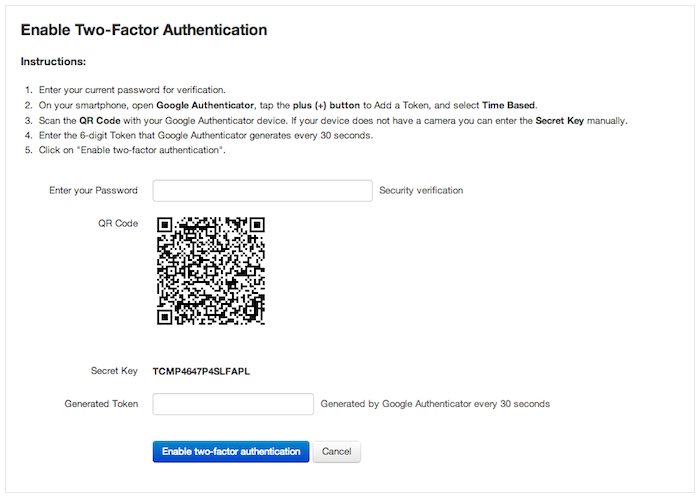 You have to disable two-factor authentication for your user (an admin user must do it) and then enable it again.